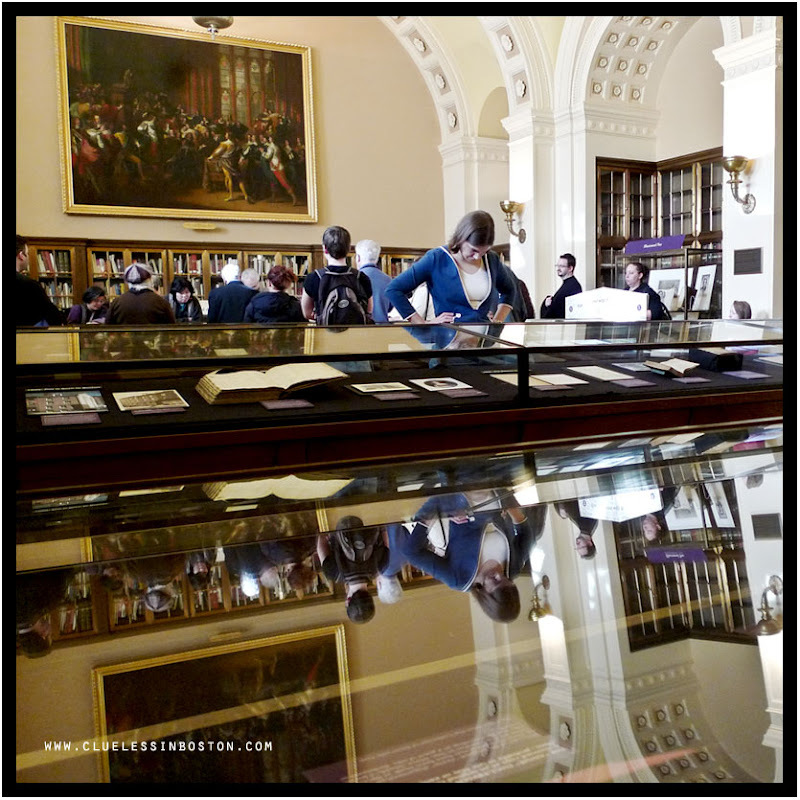 A photo of one of the exhibit rooms at the Boston Public Library. This photo was taken last March and is a change from all the wintry pictures I've been posting of late. It's about 20 degrees Fahrenheit (-7 degrees centigrade) here and a good day to stay indoors with a good book or movie. I'm impressed by the quality of the reflection!Someone is taking a very good care of those show cases! That's a very good photo - you do have a flair for composition. And not a fingerprint in sight on all that glass! What a capture. I didn't see this angle at all! Libraries are amongst my favourite places on earth. Whether they are modern or ancient, silent or teeming with school children, I just love being inside a library! Today is even worst... 1single degree Fahrenheit!! !